The lights, the sounds, and the wonderful mouthwatering smell is just part of what draws you into beautiful Branson, MO. If you’ve ever been to Branson, you know that there are plenty of restaurants to choose from when dinner time rolls around. And if you haven’t been to Branson to see the rows of restaurants that line the strip, good luck choosing one! 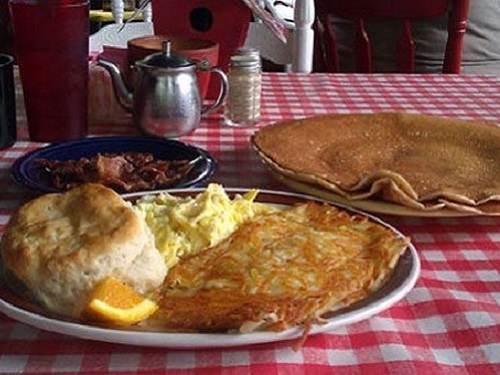 Big appetites will enjoy the famously large pancakes at Billy Gail’s Cafe, a Branson-area staple in the breakfast food scene. This restaurant is only open from 7 a.m. to 2 p.m., but that seven hour window welcomes a generous swarm of customers each day. Biscuits smothered in thick gravy, stuffed French toast, savory omelets and gigantic specialty pancakes are just a few of the scrumptious breakfast items served all day. Lunch entrees include club sandwiches, burgers, salads and homemade soups. A favorite of many, Billy Gail’s offers home-style cooking in a cozy, welcoming environment. Try to get there early in the day if you don’t want to wait for a table. 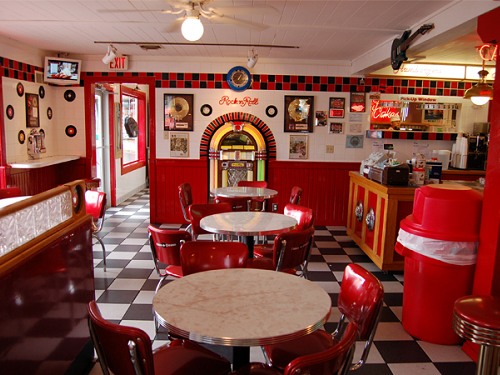 Nestled back right off the main strip, Cakes-n-Creams is a one stop destination for mouthwatering burgers, sandwiches and pizza, as well as some of the most tempting treats like ice cream sundaes, milkshakes, funnel cakes, pies and cobblers. This 50’s themed diner and dessert parlor offers pretty much any kind of sweet dessert you could possibly imagine and they’re all incredibly delicious. Cakes-n-Creams Diner has been serving the Branson area for 35 years now and we hope for many more! This is a great stop if you’re just getting out of a show or out late one evening on the strip because they are open late. This is the Branson home for authentic Italian food that’s chef created from local recipes. Appetizers include favorites like Bruschetta and Stuffed Mushrooms, and more unusual items like Nachos Italiano. 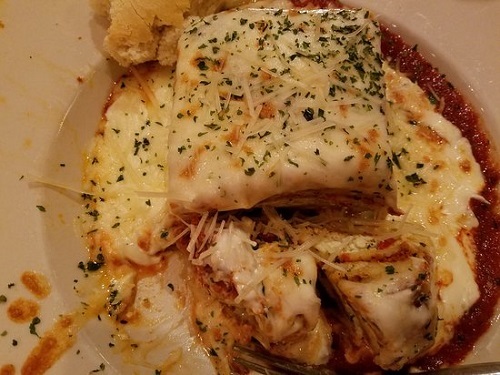 Tasty baked pastas include vegetarian friendly options like Lasagna Giardino, Lasagne Della Casa, and seafood favorites like Lobster Mac & Cheese. There’s a nice variety of soups and salads, and some of Branson’s best brick oven pizza, including their “original,” the Margherita. There’s also a meat lover’s pizza called the Carni, that includes pepperoni, Italian sausage, Genoa salami, and sliced meatballs. And everyone needs to try one of their specialty entrees, including the Pesce Florentina, Pollo Spinaci, and the Steak Florentina. Florentina’s Ristorante Italiano also boasts genuine Ozarks hospitality, making sure every diner feels like a Branson VIP! A fabulous menu of authentic, original recipe dishes, a fully stocked bar, a pleasant ambiance, and incredible service! It’s everything you’re looking for in casual dining with an upscale flair, and it’s only found in Branson at Florentina’s Ristorante Italiano! If you’re looking for a cost efficient but satisfying meal then look no further! Baba’s is home to many mouthwatering favorites but the number one item of choice by locals would be their Gyros. Some say they are the best in town. The delicious plate is made fresh with crisp veggies, perfectly seasoned lamb, on fluffy warm pita bread. 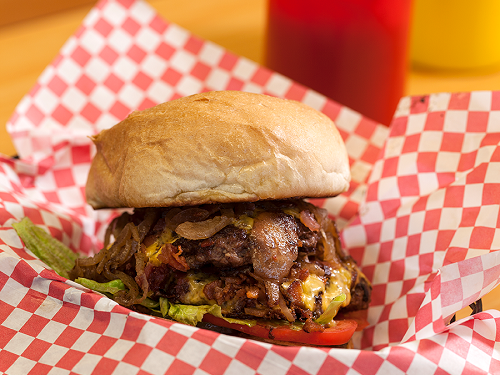 This along with many more amazing foods you’ll find only at Baba’s Burgers! So make sure to stop by, they are located on 76 Blvd. in Branson, MO directly across from Branson’s Auto and Farm Museum. Are you looking for fine dining with a little flair? 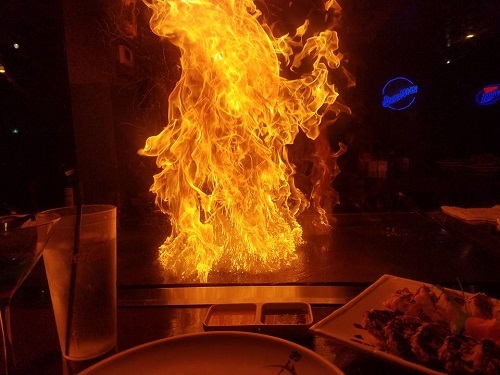 Well come to Shogun where they turn up the heat! Shogun Japanese Steakhouse & Sushi Bar offers an unforgettable dining experience. Guests of Shogun Japanese Steakhouse & Sushi Bar sit family style around the Hibachi grill as their professional chef slices, dices, and entertains while preparing dishes for the entire group. Knives start flying and a train makes its way across the sizzling grill. Hibachi Dinners include Teriyaki Chicken, Filet Mignon, Calamari Steak, Lobster, and much more! Shogun Japanese Steakhouse & Sushi Bar also offers dining away from the Hibachi grill at a private table or at the sushi bar where guests can watch the professionally trained Sushi Chef prepare any of a large variety of fantastic choice including Nigiri Sushi and Rolled Sushi. As you can tell from this article there are many amazing places to eat in Branson, MO from fine dining, to fast food. These are just a few of the locals’ favorites. Make sure to ask one of your local Activities team members more about the best places to eat and fun things to do in town. We hope to see you soon! What is your favorite restaurant in Branson, MO? Share with us on Social Media!